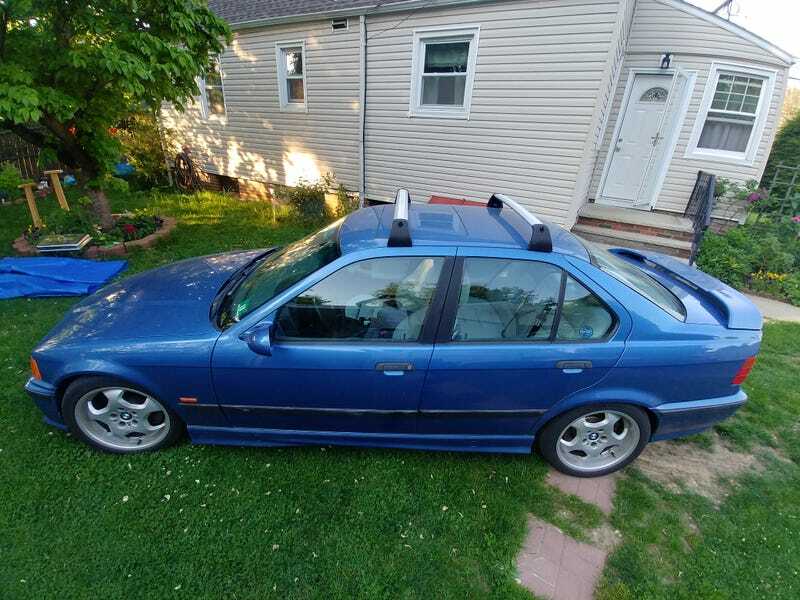 Finally scored an OEM roof rack for Estoril. For the uninitiated, the E36 has a very peculiar mounting system, for which they made a couple OEM racks, almost no other companies utilized. A Thule or Yakima rack for E36 “fitment” just uses clamps. Well, that won’t do. Finally found one and installed it. I’m really happy with the fit and the looks, it complements the wheels nicely.